To wrap up our series on peace and peacemaking, Erik Palmer moderates a session with Jason VanDorsten and Jason Goetz to answer some of the questions that were submitted over the course of the series, including the topics of persecution, being salt and light, making peace with non-Christians, and more. All Christ-followers are called to be peacemakers and "make every effort" to pursue peace with God, peace with God's people, and peace with all men. Peacemaking in the biblical sense is bringing the fullness of the Gospel of Jesus into broken situations and hurting hearts, despite painful circumstances. Peace is something we all want, but something that often seems impossible to get, much less keep. We tend to settle for circumstantial peace instead of true shalom – God’s design for how things were meant to be. 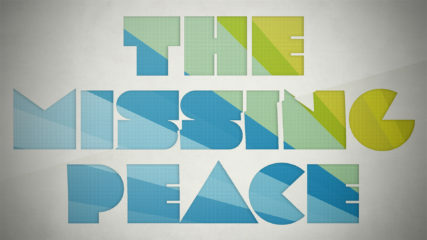 This series will look at how we get peace, make peace and bring peace as we follow Jesus.